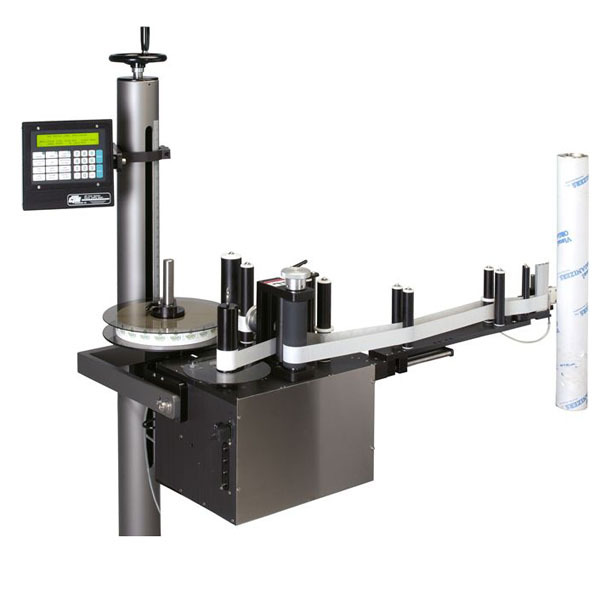 The 360FFS is designed for most form, fill and seal applica­tions along with those applications that allow for a limited amount of space for the labeler. It has an adjustable snorkel that adjusts the applicator’s labeling point from 18” to 30”. The stepper drive motor will dispense up to 1500 inches per minute of dispense speed. It has “Auto Teach” label set-up for label length, label stop and label sensor sensitivity and a labels per minute rate indicator. Comes with a totalizing label counter for data management.